In a few short days, Milan cemented itself in my mind as the most livable city in Italy. I wish I had vacationed here for at least a week, because there is so much to do. And as a resident, I imagine I would have a lifetime of interesting events and activities. 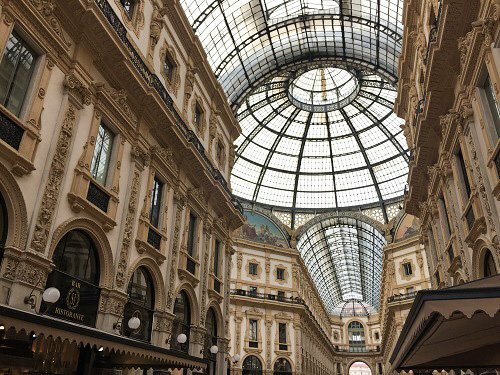 The Galleria Vittorio Emanuele II is the most beautiful mall you’ll ever see. Milan is a big sprawling city. And it is saturated with museums, galleries, restaurants, and cultural events. On our first day of heavy sightseeing, we came across a Gelato Festival and a free Radio Italia outdoor concert in front of the Duomo. And it was a Thursday! All these people do is put on events and have a good time, it’s amazing. There’s a good mix of open green spaces and busy streets with plenty of shopping and dining. It helps that the city is also gorgeous. Milan Central Station makes New York’s Grand Central look like a dumpster. There’s a vibrant music scene, and having caught a concert at Fabrique, I can say this is easily one of the most pleasant cities to be a concert-goer. The venue was gorgeous and intimate, full of friendly, respectful people and the food trucks outside kept everyone in line fed and entertained. I could live here and never get bored. Like any major city, Milan is the kind of place where I’m a bit more guarded with my belongings, especially in busy, public areas like train stations. That’s not to say I feel unsafe, but I’m a bit more aware of my surroundings. It’s more Brooklyn than it is idyllic Krakow. But the biggest hazard to safety in this city is, without a doubt, secondhand smoke. I know Europeans smoke more in general but Milan has a serious problem. No matter where you’re walking, there will be two people in front of you whose billows of smoke are wafting in your face. The entire city is basically a smoking area. 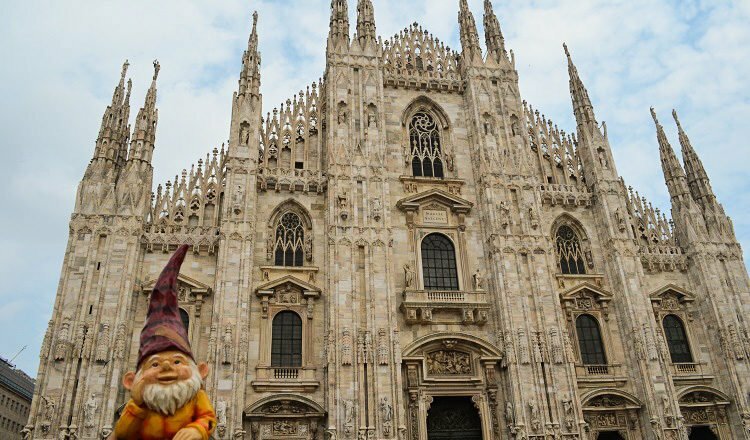 The people of Milan are friendly, fiery, and… ahem… forward. Within two hours of being here, we saw two guys brawling on the street and an old lady viciously tell off a row of cars for not stopping at the crosswalk. I can sympathize with a fiery temper – I’m Hispanic, after all – but damn. Outside of angry outbursts though, everyone is fairly laid back. They’re the kind of people who say what they mean and mean what they say. And if you strike their fancy, they will let you know. Even though I find random street cat calling mostly to be a bit of a turn off, I admire their boldness. 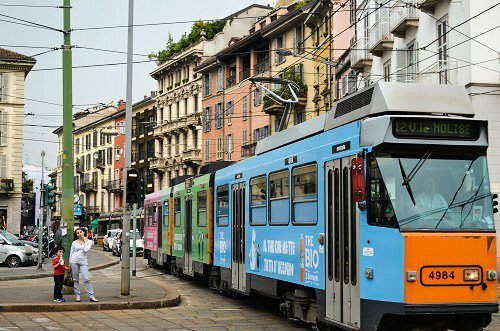 The public transport system in Milan is vast and easy to use. I can’t stress enough how large Milan is. Walking everywhere is basically impossible. But thankfully there is a massive network of public transportation that will get you everywhere and is fairly simple to figure out. Between the metro, trams, and buses, your route is probably covered. The only thing we found it difficult to figure out was how to buy a ticket for the trams and buses so we just rode without paying. It turns out Italians are pretty lax about ticket control on their buses. 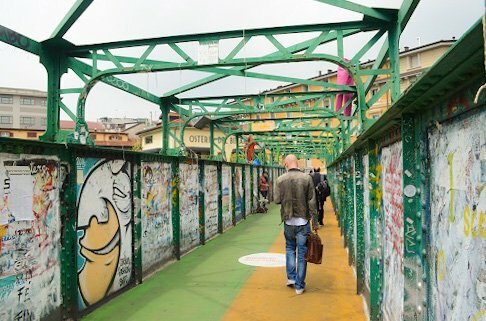 The beauty and effervescence of Milan comes at a steep cost. 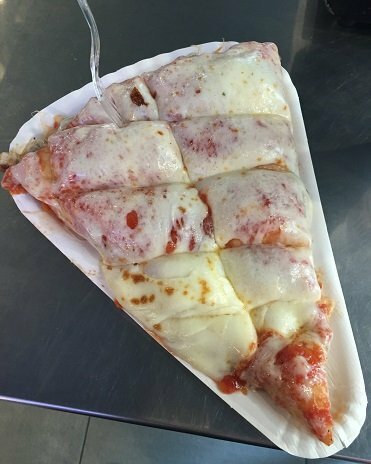 The average apartment here is at least a grand and even though you can get a slice of pizza for a couple of Euro, a good meal is about the same as a week’s worth of food in Poland. Poland has basically ruined me. Not bad for 3 Euro. If I had the kind of job that would allow me to afford a life in Milan and the ensuing lung cancer treatments, I would totally jump on it. 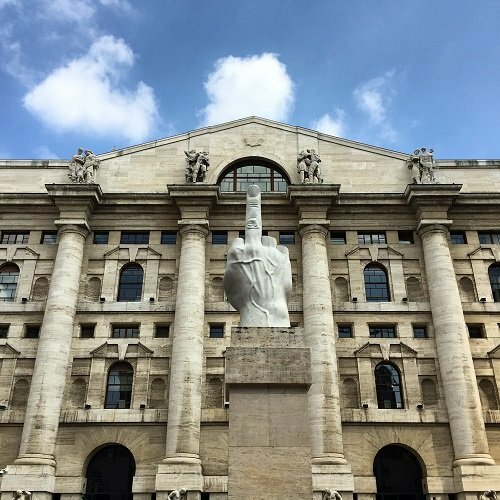 How can you not love a city that has this sculpture in front of their stock exchange? Absolutely agree!! Milan reminded me of a mixture of Manhattan/Brooklyn/Philly. Definitely on my list to go back to for a longer period of time.